Music is a crucial part of any celebration, and wedding dinner music is not an exception. Many couples don’t pay enough attention to this point in their wedding planning – which is a pity! Reception dinner music might not have such an overwhelming effect, as some of the other musical choices of this important event. Dinner music for a wedding is more of a background than a center of attention. Still, it gives the atmosphere to the whole event – so decide wisely! One can hardly underestimate the influence the music has on the overall mood of everyone involved! But how to choose the best music for your reception? 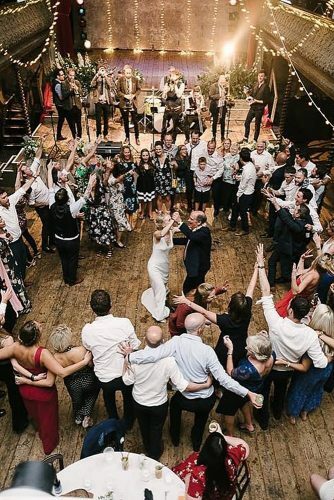 We have come up with the list of the best 55 tracks, including some newest 2019 music, to be among your top wedding dinner songs. How to Choose the Best Wedding Dinner Music? First of all, relax. The wedding cocktail songs are the songs that will play during your cocktail hour and probably the most delicious meal you’ve ever had. It should add to the atmosphere, but not distract your guests from socializing. So, don’t worry too much! There are several traits of any great playlist: it should include songs of different genres, tempos, and some well-known hits as well as some unknown ones. Still, all these various music pieces have something in common to make the wedding dinner playlist flow smoothly. It should have a kind of common ‘vibe’. Leave dance hits for later to get everyone on the dance floor. Doesn’t matter if you decided to go for live music or a DJ – soundcheck is a must. You could make a trial list and use it as your rehearsal dinner songs to see if everything is fine and the sound is even. Make a must-play list for your DJ. Check the availability of tracks well in advance to be able to add them to your playlist. Make a do-not-play list. Considering the fact cocktail hour music playlist is usually about 1.5 hours long – it’s important for the DJ to know your musical tastes well enough. If something goes not the way it was planned and the cocktail hour takes longer than planned, the DJ better know what NOT to play. No R-rated music – remember your Grandma and the little cousins will be there too! If in doubt about making all the complicated music choices – just choose a singer\band you like and play an entire album. Trust the professional – show the DJ\ band songs you like – it will help them to get the idea. Maybe your DJ\band has several tunes to offer. As a professional, your DJ knows much more musical hits than you. 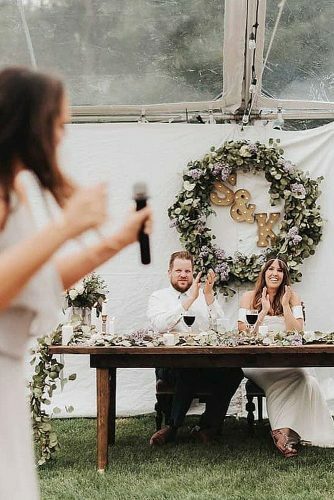 First of all, you are going to need some nice music to accompany your wedding reception and dinner, there can be even wedding toast songs to create the right mood for your well-wishing. The music starts playing as soon as the guests arrive and keeps playing through the meal and cocktail hour as they are waiting for you. As any other fabulous playlist, it should be a mix of ‘something old, something new’. Do include your favorite music, that is not upbeat enough to get everyone moving on the dancefloor, but suits the occasion. The music shouldn’t be too loud to allow your guest to communicate easily. Want some examples of best wedding dinner songs? Here you are! Country music is a must if you are planning a western or a country-style wedding. 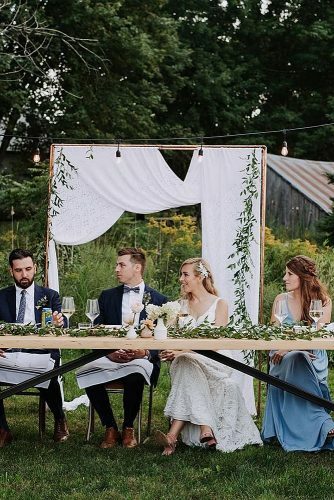 It is definitely a part of the vibe for a rustic or boho wedding. 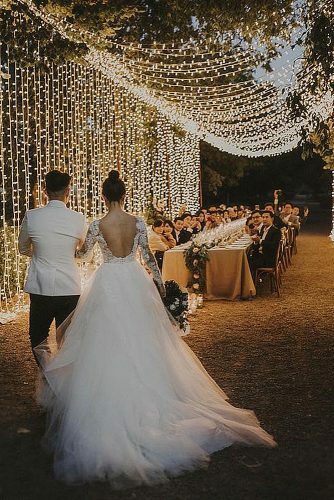 But even if your big day is a classic white wedding with no definite theme, country is perfect as wedding reception dinner music. Music will add to the general atmosphere of the event, creating the right mood. Country music can be a great addition to your list of wedding songs. 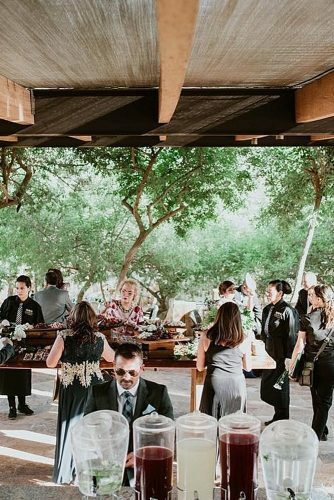 Сocktail hour songs are usually soft compositions that play as a background while your guests enjoy snacks and conversation. As you are going to be away, it is absolutely necessary to think about cocktail hour wedding music well in advance. Remember, that purpose of the cocktail hour is to buy you and your bridal party time while you arrive at the reception site. What does it mean? The mood is essential. 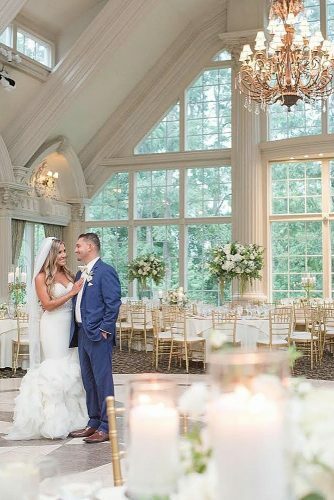 Choose the most romantic music, something, that will get to the hearts and souls of your guests and gives them this ultimately romantic vibe. This kind of music will prepare them for your arrival. Modern wedding cocktail hour music is usually soft old-school lounge, with a sprinkle of pop hits. Still, don’t be afraid to include some of the recent romantic music. When considering reception wedding songs, wedding reception background music probably seems the less important of all. After all, it is just a background music nobody listens to, right? Well, it may be – but it still has to add to the vibe of the evening. Every year musicians create more and more pieces that will make perfect wedding reception dinner songs! You can easily make your own list of top wedding songs just looking at the trendy charts or listening to the radio. If you are looking for ‘something new’ it’s easy. 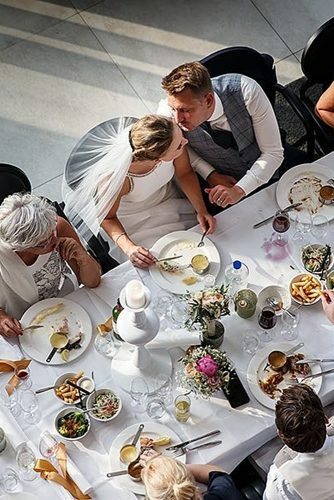 We have found the best of the best of 2019 to make your wedding the most up-to-date and romantic party of the year! Tired of all the modern music? Why don’t you go classic for a wedding cocktail hour music? If you want something very traditional, you could check our Christian wedding music list. (By the way, I bet you will be surprised by the variety of Christian music that is available these days). We all know that tastes differ – but you can not go wrong with our oldie but goldie music list. Even your grandma will approve! Want help planning the wedding music for your big day? Check out our expertly curated wedding playlists for perfect parent dances! 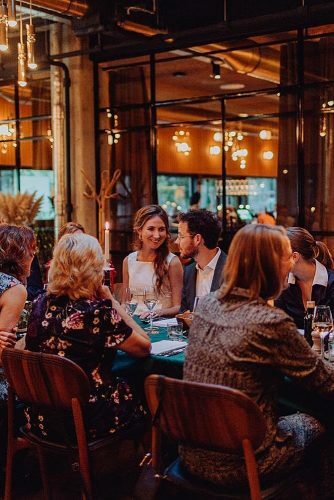 Probably, you would also want to know which genres and examples of music you should probably avoid playing at your wedding dinner. First of all, as we have mentioned, wedding dinner music is all about a background. Make it good, but don’t waste the hits you want to be the center of attention later. Your wedding dinner songs should be moderately popular and mostly calm. Don’t try to include any songs about dinner – it will be hard to find something appropriate, and the event is not about food, anyway. Much less convenient genres as metal, punk, hard rock and hip-hop are also not very typical for a wedding. Still, the exact music choice depends on your music tastes (don’t forget to consult your significant other on this point). Don’t be shy to ask a professional for advice – your DJ or your band can help you a lot – music is their job, after all! And always remember, that it is your wedding, so you are the one to makes the final decision on all the small details. So choose the music you like and enjoy your special day to the fullest!